NAS Fallon, located in Fallon, Nevada, is home to the Naval Strike Air Warfare Center. It serves as the Navy’s premier tactical air warfare training center and is known as the only facility in the Navy where an entire Carrier Air Wing can conduct training that integrates every part of the wing into realistic combat scenarios. 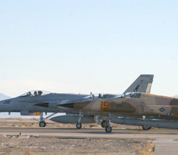 The weather in Fallon supports clear flying more than 300 days per year and training participants get the most out of each of those days with the base's four nearby bombing ranges and an electronic warfare range. NAS Fallon boasts a 14,000-foot runway that is the longest in the Navy. NAS Fallon has over 3,000 active duty personnel, civilian employees, and DoD contractors. This NAS Fallon directory features the critical info you’ll need to navigate through the many facilities and recreational opportunities available on base.